climbOn Skin Special by Specials | SKINourishment, Inc.
A bundle of the signature line of climbOn. In the large version you receive the climbOn Bar (1.0 oz), the climbOn Créme (4.5 oz) & a Lip Tube. In the small version you receive the climbOn Bar (0.5 oz), the climbOn Créme (2.3 oz) & a Lip Tube. If you prefer the Adventure Bar with your special just let us know in the comments! 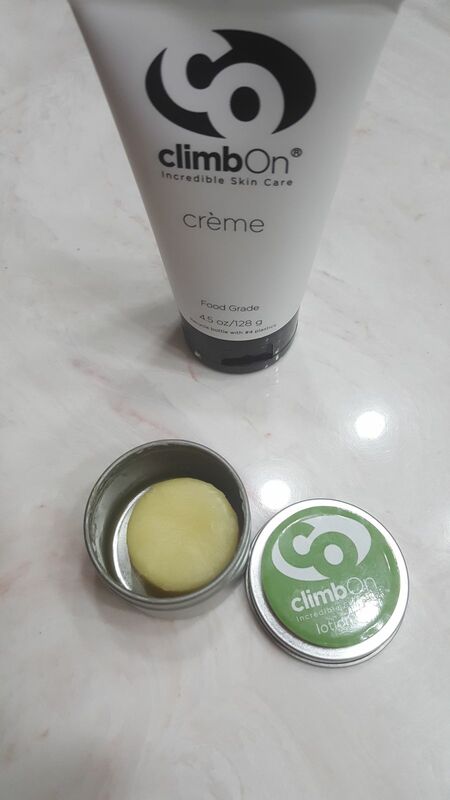 Loved the Climb On lip balm for its reinvigorating minty sensation and the multi-purpose cream is so soothing on any dry body part. The Climb On bar is a must after every climbing/ training day. I like that all the products are natural, and that they have subtle herbal scents. 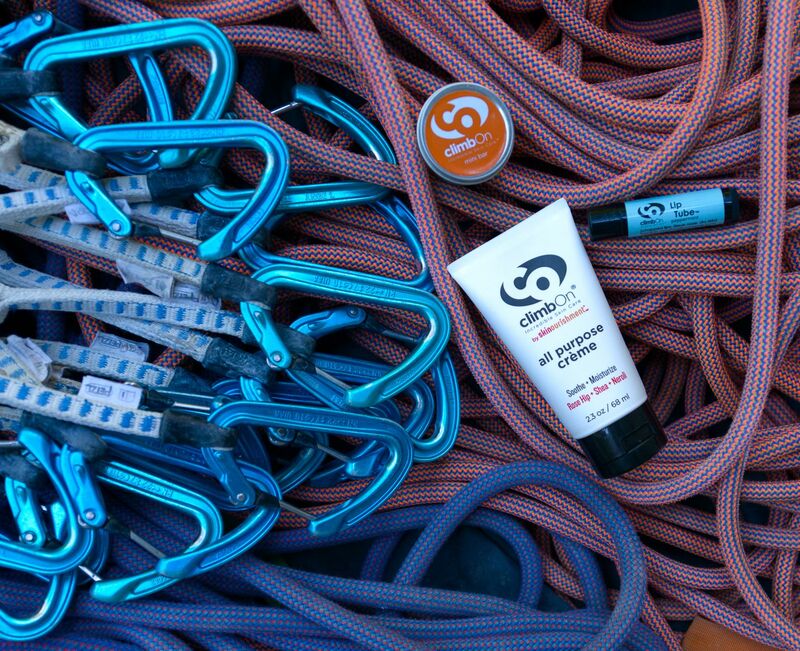 I live in a high desert climate and I absolutely love the Peppermint lip balm and the Climb On bar has been great for callouses, bug bites, bruises, and especially for my fair skin which burns very easily! Love this whole line! Leaves skin hydrated and soothed, smells great and not greasy. Great post climb ritual. Love the lotion for an after sun treatment too! Long time user of ClimbOn products but the last couple tubes of cream I've had, there's been a lot more oil separation. Countless times, even though I've massaged the tube prior to squeezing, oil is all that comes out, and, frankly, in earlier versions of the cream, it's not a problem I had ever experienced with it. Don't know what changed but I may not buy the cream again. Sorry to hear of your issues with the climbOn Creme. I assure we haven’t changed any recipes. The Creme when it’s warmer tends to be more liquid. One way to help is to store it on its side rather than standing it up. It also doesn’t hurt to stick in the fridge for a few hours as well. Of course, you already mentioned the massaging of the tube and that’s an important step. Thank you so much for your long-time support and taking the time to leave a review.